When TLC were asked if Rihanna inspired them, they said she didn't. They elaborated that they are trendsetters and have always been in their own lane. They praise Michael Jackson for being a game-changer, but when it comes to the top females of today, Beyoncé is mega successful and Rihanna has great songs but they don’t hear about great superstars like how it used to be. Artists from back in the day are ones they admire the most because being hot and being a game-changer are two different things. 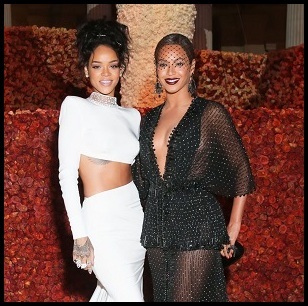 I think Beyoncé is on her way but Rihanna has a few hurdles to go. I grew up listening to TLC's music. They speak their mind but the truth is, Beyoncé and Rihanna are two females that have achieved so much in an industry gone fickle (especially an industry where albums are not selling unless you're Taylor Swift and piracy is rife). They should know all about the harshness of that industry because they are examples of that; bankruptices, being dropped from Epic Records, begging fans to fund their last album and vice versa. 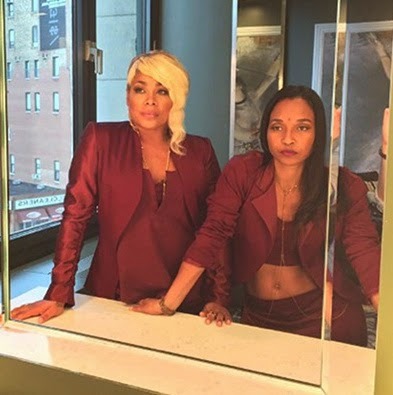 It would not have hurt Chilli and T-Boz to show their support and congratulate two fellow black women for dominating in a way that they use to.